Zincalume steel offers designers the unique combination of value for money and incredible design flexibility. Whether your next project is being created for a purely functional application or for leading edge design Zincalume steel makes it easier to create an enduring design classic – from roofing and walling, garage doors, house framing and steel home appliances. With a lifetime of up to four times that of ordinary galvanised steel, Zincalume steel delivers outstanding durability. But, more importantly, it also gives you the confidence that the award winning material you’ve chosen for your next project will perform today and for years to come. It’s a design classic. Zincalume steel has the unique ability to compliment both traditional and ultra modern architecture. Use it with confidence. It’s flexible and cost effective, so the design choice is yours. Zincalume steel is manufactured to the most stringent production standards to ensure the product’s superior performance and long life. 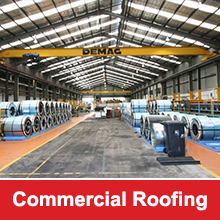 It meets Australian Standards (AS1397-1993) and is backed by BlueScope Steel’s guarantee of quality. So when you ask for Zincalume steel, you can rest assured you’re specifying the best. Warranties are available against corrosion to perforation by weathering in the natural elements, and against paint flake and peel. Zincalume steel can be bent, folded, stamped, punched or crimped for easy fastening. When it comes to fastening, Zincalume steel can be bent, folded, stamped, punched or crimped. Integral fastener systems include seam, tab and recess and extruded interlock systems. The compatibility of Zincalume steel with other materials is similar to that of the traditional zinc-coated steel sheet. The exceptions are lead, copper and stainless steel which can cause corrosion of the coating. 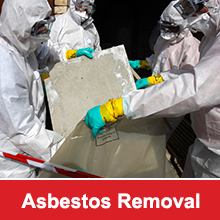 Lead washers, lead-headed nails and lead flashing should not be used. Zincalume steel has become a part of the Australian way of life. It’s been used with striking effect by leading architects to create the latest in modern building designs, through to classic roofing styles for the traditional Australian homestead. From bustling inner-city buildings to charming rural properties its applications are endless.